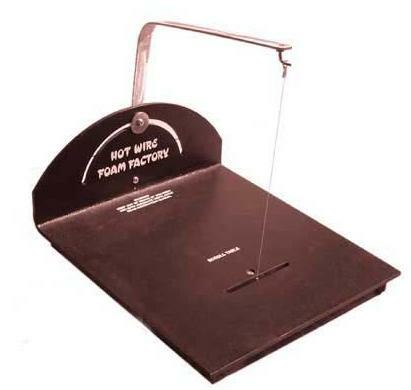 Original Hot Scroll Table - Dino Rentos Studios, INC.
Fast accurate cuts are easy! Super sturdy industrial strength ABS 12"x14" Scroll Table for cutting accurate straight edges, strips, angles, curves, cylinders, cones . . . Simple adjustment for making angle cuts. World's best tool for modeling buildings, slicing walls, making columns, custom signs, and much more. Made of industrial strength ABS. Comes with four long life 8" tall cutting blades. Works with both power supplies. Fence Kits are available in the Pro Kit or in the Accessories .